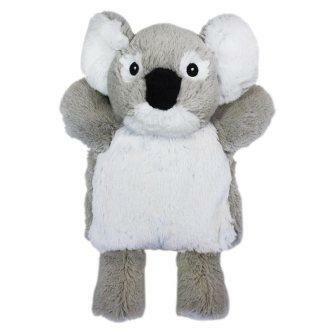 Super soft, plush koala with microwavable silica bead heat pack tummy. Perfect for warm, cuddly sleeps at home and travelling. 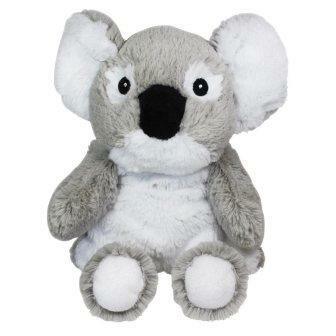 The cuddly Koala is bound to be your new BFF (best furry friend). 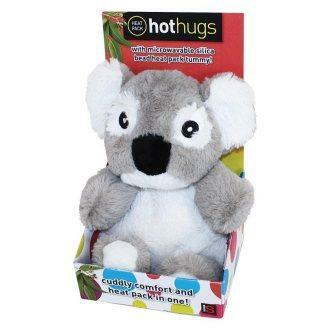 Pop the heat pack from his velcro pocket into the microwave to heat then shake and place it back in the Koala. 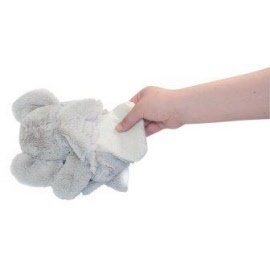 Stay toasty in winter or help ease those muscle aches and pains. 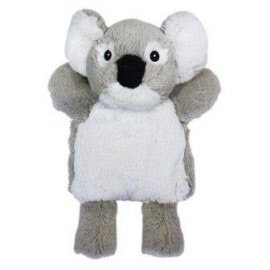 Made with soft plush. 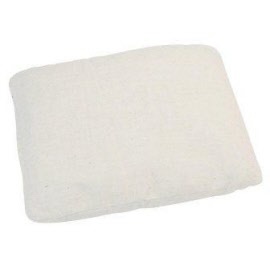 Heat pack filled with silica gel beads. Instructions: (Note, remove bead bag from plastic bag before use) Heat the bag of silica gel beads in the microwave for 45 - 90 seconds, depending on the strength of microwave. Pop into the tummy of your Hot Hugs animal & cuddle away. Silica bead heat pack keeps warm for approximately 60 minutes.